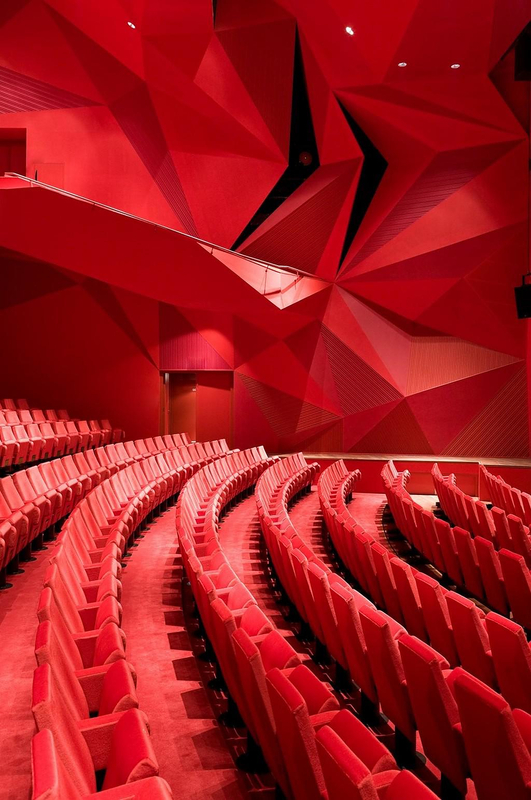 The Agora Theatre by UNStudio is an innovative sculptural building that explores the integration of theatre, arts and new media. 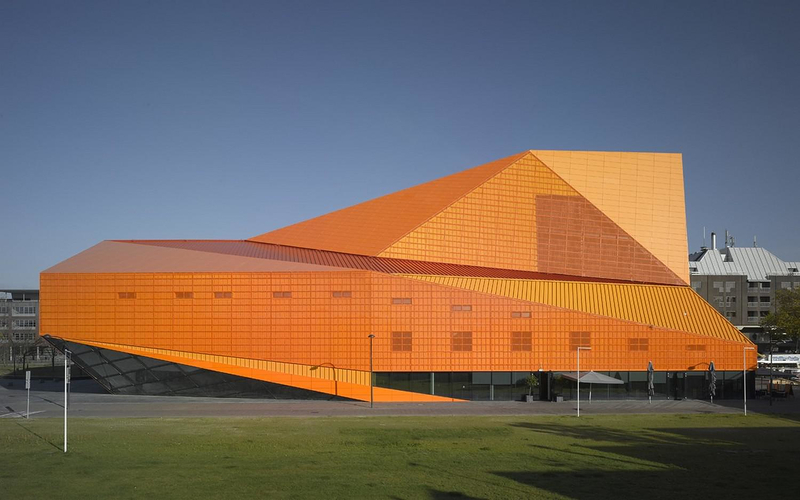 The particular project for the Agora Theatre though, was executed by architectural studio UNStudio. 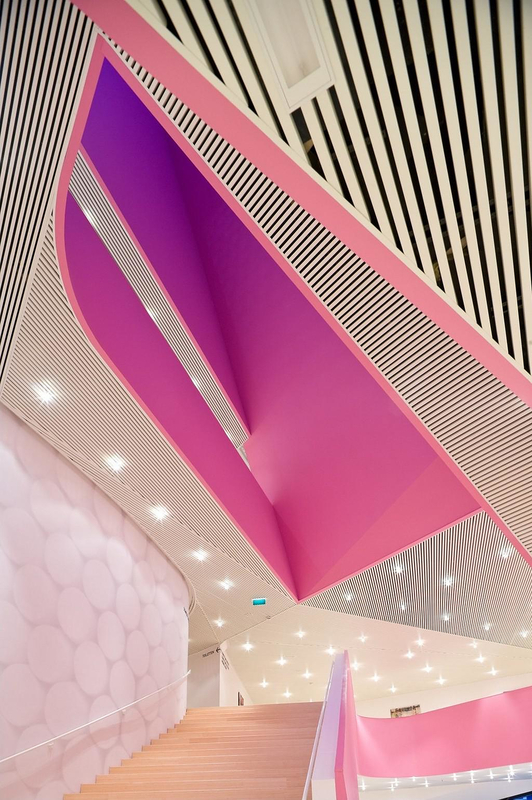 Architect Ben Van Berkel of UNStudio grows a special interest in the way the buildings communicate with people. 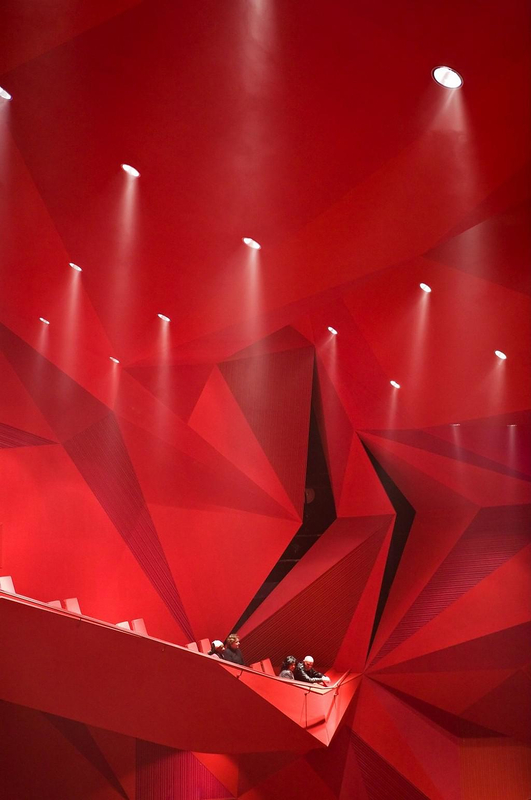 He designed the Agora Theatre in a way that promotes architectural form as an endless live performance. 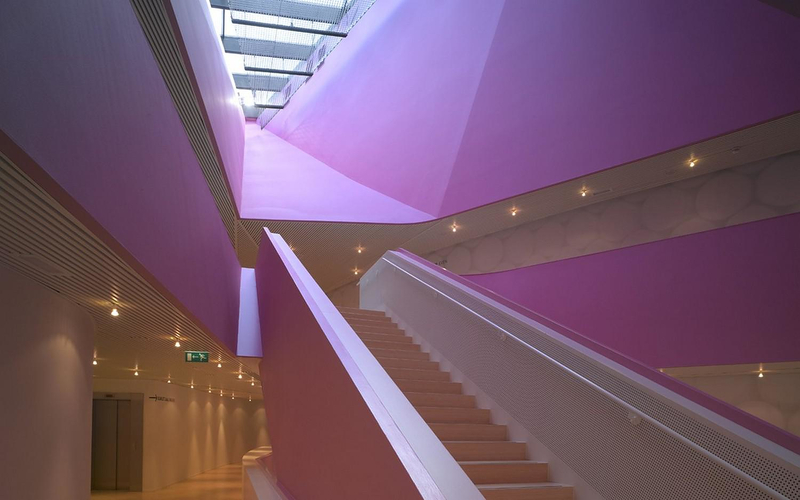 His intention is to create variations in the way the visitors see and experience the building, as they move inside and around it, thus producing a creative an interactive experience. 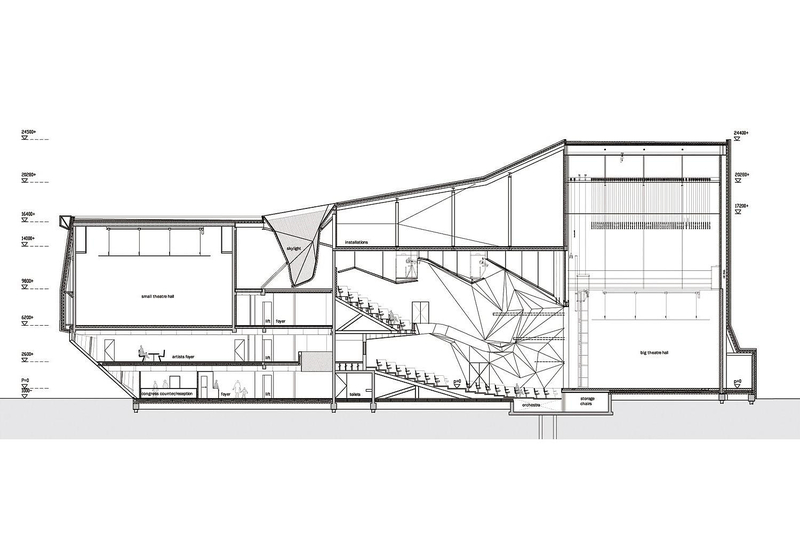 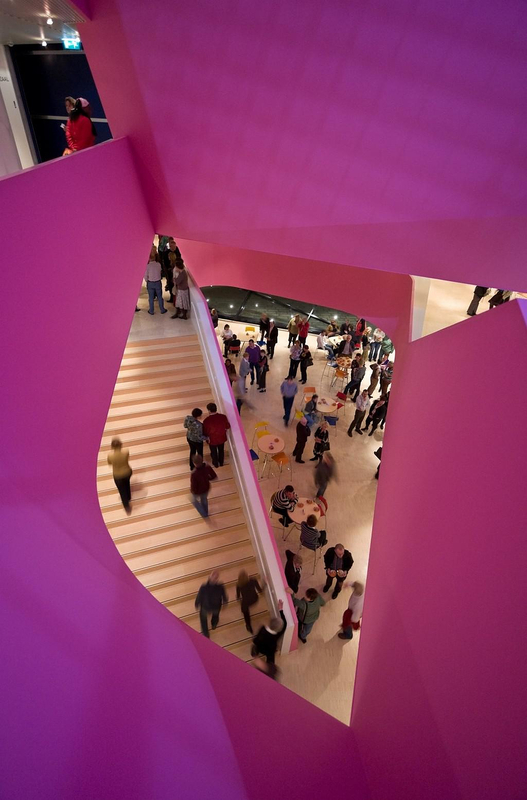 Internally the vertical foyer and its grand staircase is designed as an element that carves through the center of the building’s volume, clearly delineating trajectories and orientation with the interconnecting theatres and congress halls. 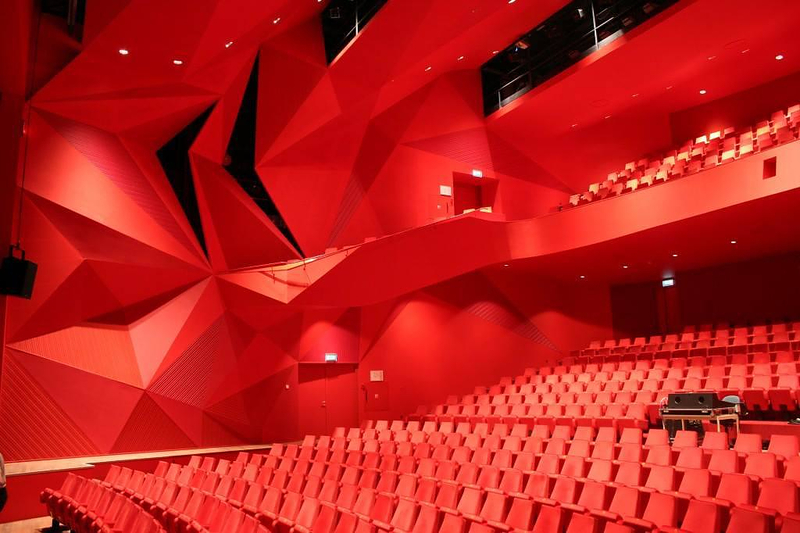 The Agora Theatre covers an area of 7000 square meters and features two halls and one multifunctional space, a restaurant and a bar. 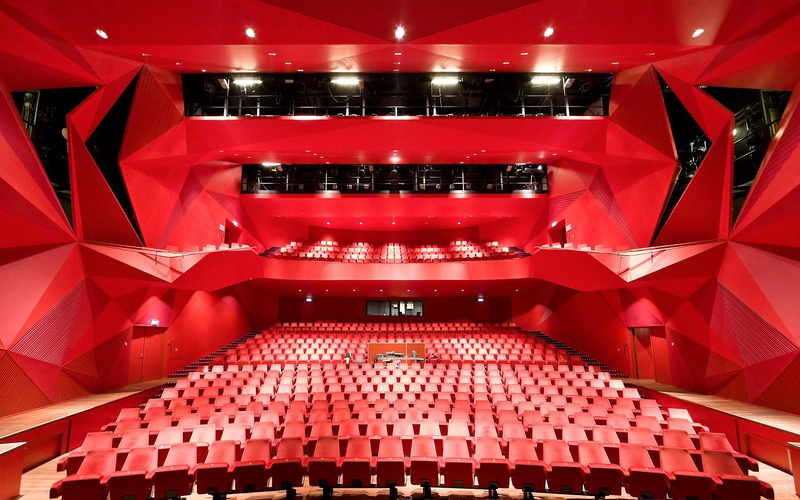 The main theatre is all in red and large in size expanding the audience of a relatively small town to international productions. 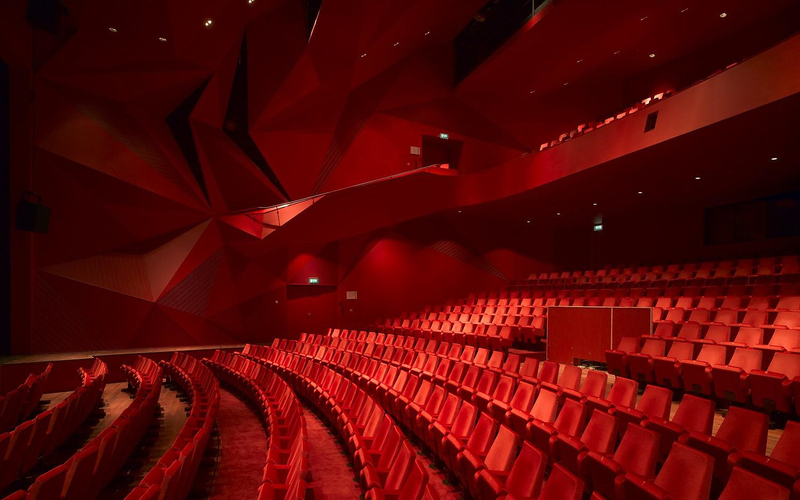 The intimate dimensions of the auditorium are emphasized by the internal curve of the balcony and by the vibrant forms of the acoustic paneling. 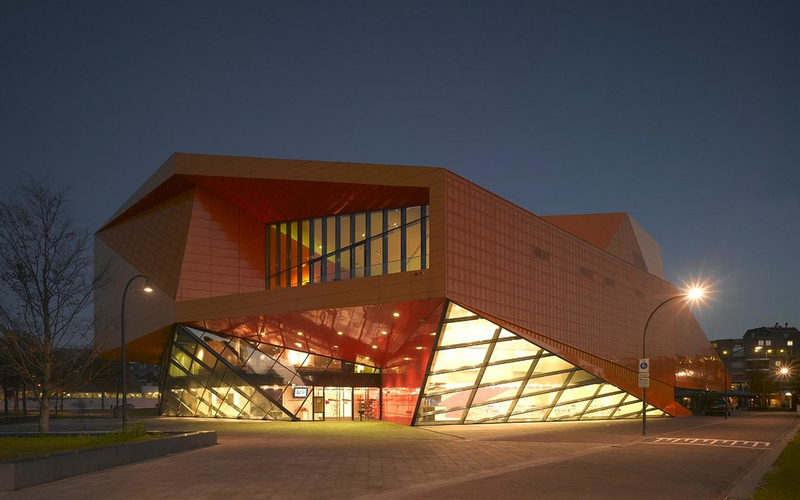 UNStudio was founded in 1988 by Ben Van Berkel and Caroline Bos and is based in the Netherlands. 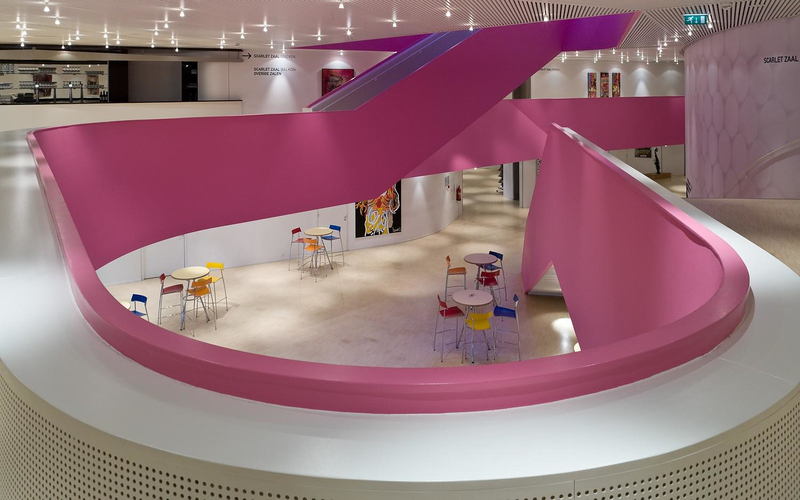 UNStudio is a renowned architectural studio that specializes in architecture, urban development and infrastructural projects. 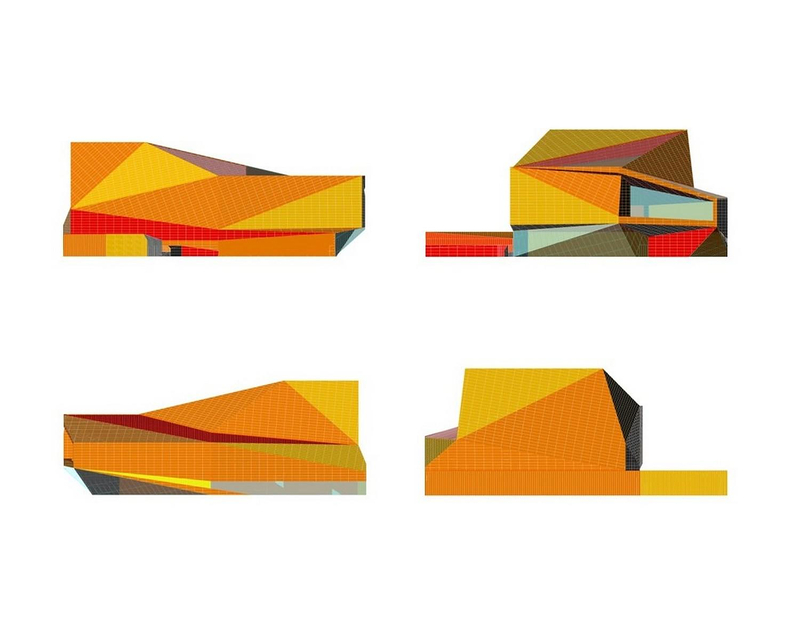 The name stands for United Network Studio, referring to the collaborative nature of the practice.